Pros: Practically flawless. My current favorite iOS game. Too addictive. Fantastic retro graphics and sound. Loads of replay value. Cons: Missed opportunity for more creativity options (Yep, that’s all I can think of). 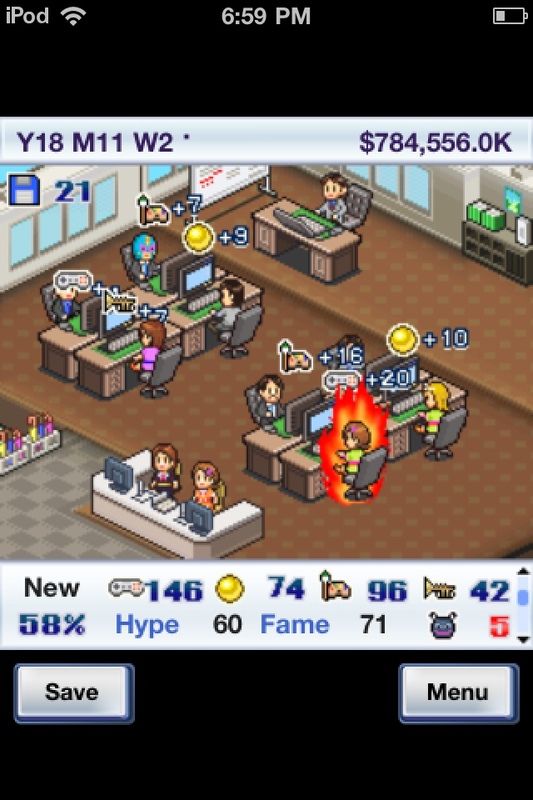 Comments: There is something so amazingly addictive about running an incredibly successful virtual game developer. Hiring and firing parodies of real people (I’ve had Stephen Jobsen, Shegeto Minamoto, Gilly Bates, and Walt Sidney as employees) is a feeling of content. I’ve played Game Dev Story to completion (a task that takes a couple of weeks) a good 5 times. I’ve played from periods of anywhere from a couple seconds to a couple hours at a time. It may be a $4 game, but there is play value here worth far more. You are currently browsing the archives for the Kariosoft category.